Confession: since I've been working in more outdoor runs, my trips to the gym have declined in frequency. I have learned that strength training is extremely important while training so to make sure I'm still getting my strength workouts in, I've been doing a few 7 minute workouts post-run. Have you heard of the 7 minute workout? 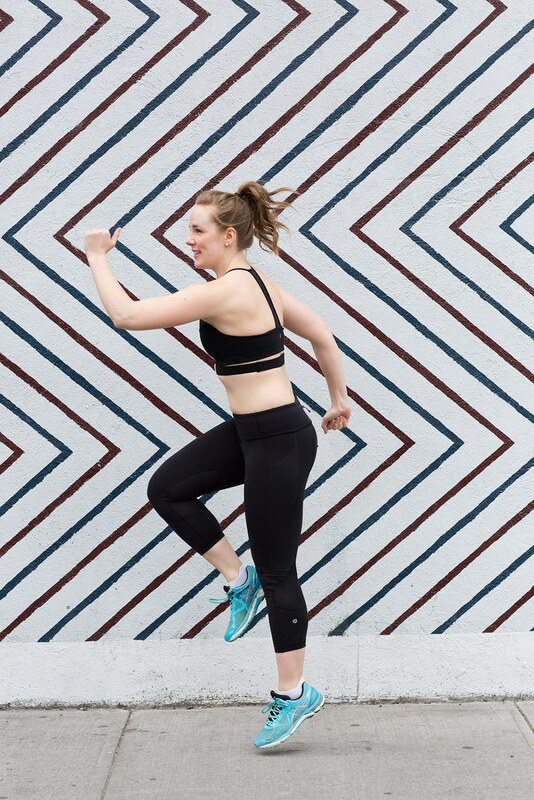 The Wahoo 7 Minute Workout is a science-based, high-intensity, interval workout that packs 12 bodyweight exercises into a focused seven-minute training session. 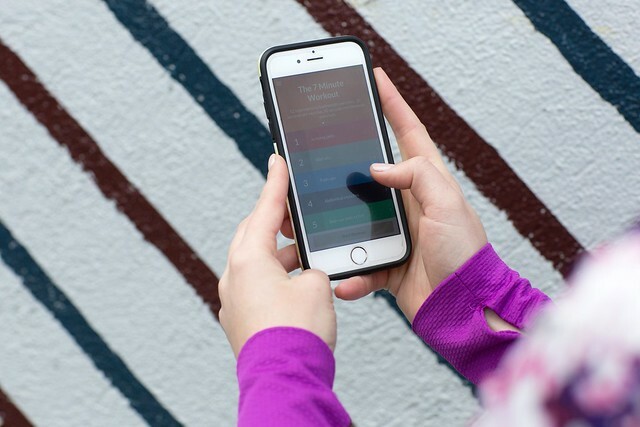 When you download to your phone or tablet, the 7 Minute Workout app is free with the additional option of $1.99 to unlock an Alternate 7 Minute Workout, a Pilates 7 Minute Workout, and even the ability to create your own 7 Minute Workout. I'll do a run and do 2-3 rounds of the standard workout or mix it up with the standard and alternate workouts. Since the weather has gotten a little warmer it's been easy to do these at the park and then stretch after my run. I highly recommend it and would love to hear if you try it! And can we quickly talk about this sports bra and these crops? I am loving the crop top trend in sports bras/workout tops - it definitely makes bearing it a little easier! And these crops. I just can't with how good they are. They're my first pair of Lululemon pants and they truly are different than other crops I own. The stitching is on point to match all of my curves, the material is amazing (including the super soft mesh panels) and they just lift me up when I wear them. Good for the body, bad for the wallet (which is why I never owned Lulu pants before this!). I highly recommend!